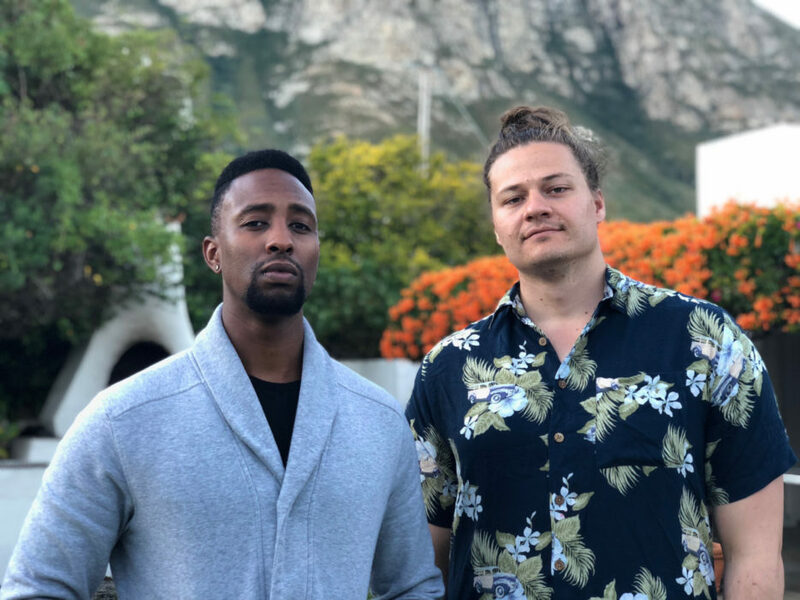 A small video game design studio based in Johannesburg, Nyamakop, are the creators of Semblance, an adorable little puzzle game set in a world made of play dough. Newly-released Semblance is also the first African-developed game to ever be on a Nintendo console. The studio’s permanent members are Ben Myres and Cukia “Sugar” Kimani. They met at Wits University in the game design program, and that is where they started to work on Semblance. Sugar does all things technical and Ben is responsible for the game design. We caught up with Ben to hear a little bit more about the concept and evolution of the game and his perspectives on video games as an art form. The Nyamakop duo jokingly refer to Semblance as the ‘first true plat-former’ because it’s the first game where you can morph, shift, and deform the platforms. Usually the genre is merely about navigating your avatar around platforms, but in this game you can actually shift them to help you solve problems. Ben described how the project came to life as their final year university project in the game design course at Wits University. Back then, the game was just about the character changing shape, and for about a year it stayed that way. Until they had a bug/glitch that allowed platforms to deform a little, and after some experimenting, the two found that having a malleable terrain was far more interesting that just a character changing shape. “Games can be immensely complex beasts to create. However, through this complexity can emerge a pungent elegance and simplicity. At their core, for me, they are the art form of interaction. The complexity of developing games allows the resulting work to condense and simplify complex ideas. I’m a devotee of works that do this. “Like all art, games are a vehicle bursting with potential to carry ideas. I believe that, as humans, we’ve never been more aware of the systems we exist in. We’re aware of capitalism, patriarchy, globalisation, white supremacy and how they impact us. I believe games’ mix of interaction and powerful uses of systems makes the medium one of the best tools to explore how systems affect us. That’s because, in games, you are often put inside a system, and given the tools to prod and probe how it works, where it breaks, and what its fringes are,” Ben says. The studio has received international coverage in major games sites and significant mainstream press. They’ve also been shown at games events around the world as well as many traditional arts/music/film events such as the Slamdance Film Festival and SXSW. Ben points out that the inclusion in SXSW is often a huge deal for local musicians and filmmakers, but for game makers it still doesn’t warrant much local arts attention. In discussing whether gaming is still seen as on the periphery of the art world in SA, Ben sees this as a complex issue – a worldwide one in which many people in gaming are “fighting for games to be recognised as art”. Semblance is available on the Nintendo Switch eShop, and on Windows/Mac on Steam, GOG and Itch.io. Watch the animated launch trailer here.